The retired pastor of St. Cecelia Parish in Mount Prospect is being remembered as a faithful priest, with a flair for theater. The Rev. Michael Olivero died Aug. 4 at the age of 70. Born on July 9, 1948, in Chicago, Olivero attended St. John Berchman Catholic School and Quigley Preparatory Seminary North, both in Chicago. He graduated from the University of St. Mary of the Lake/Mundelein (IL) Seminary with a master’s degree in divinity in 1974. He was ordained to the priesthood May 8, 1974 by Cardinal John Cody, archbishop of Chicago, and celebrated his first Mass at St. Alexis Church in Bensenville on May 12, 1974. After ordination, Olivero served as an associate pastor at Queen of the Rosary in Elk Grove Village, St. Cyprian Parish in Chicago and St. Cecelia. 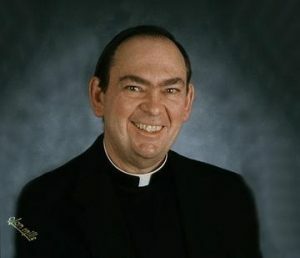 In 1993, he was appointed pastor of St. Stephen Protomartyr in Des Plaines and served in that role until 2005 when he became pastor of St. Cecelia, where he retired from on June 30. The Rev. Terrence McCarthy, pastor emeritus of Immaculate Conception in Highland Park, remembered Olivero’s gift in directing a number of seminary seasonal productions and musicals. “He had a great talent for theater,” McCarthy said.